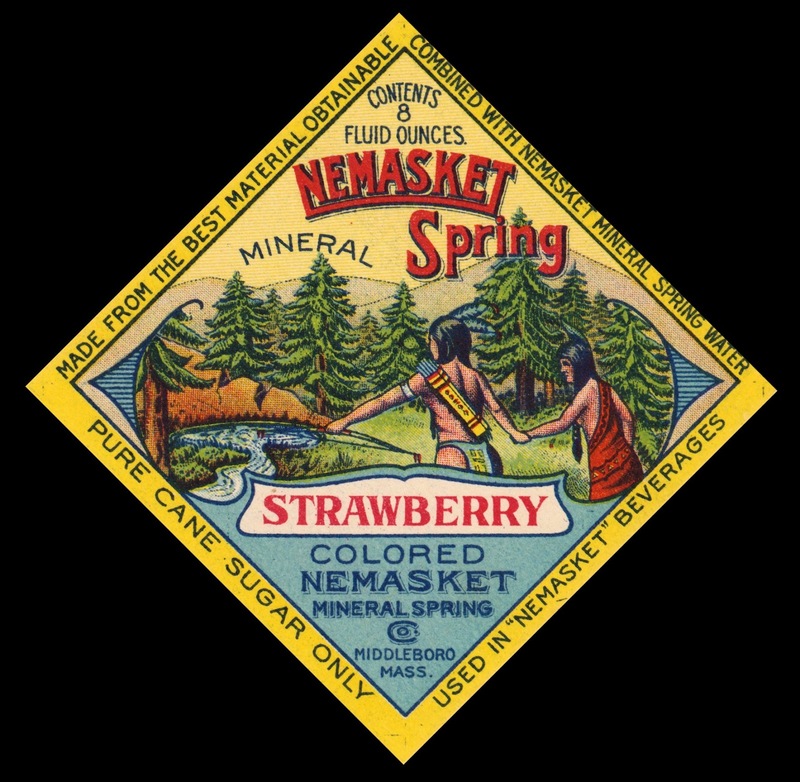 During the period that it bottled spring water and manufactured carbonated beverages, the Nemasket Spring Water Company on Plymouth Street advertised its products with colorful designs, branding its drink bottles with stylish labels featuring two Natives making their way to an idealized depiction of the spring. Most consumers of the product were probably unaware or unconcerned that Middleborough includes no mountains such as those depicted on the label. 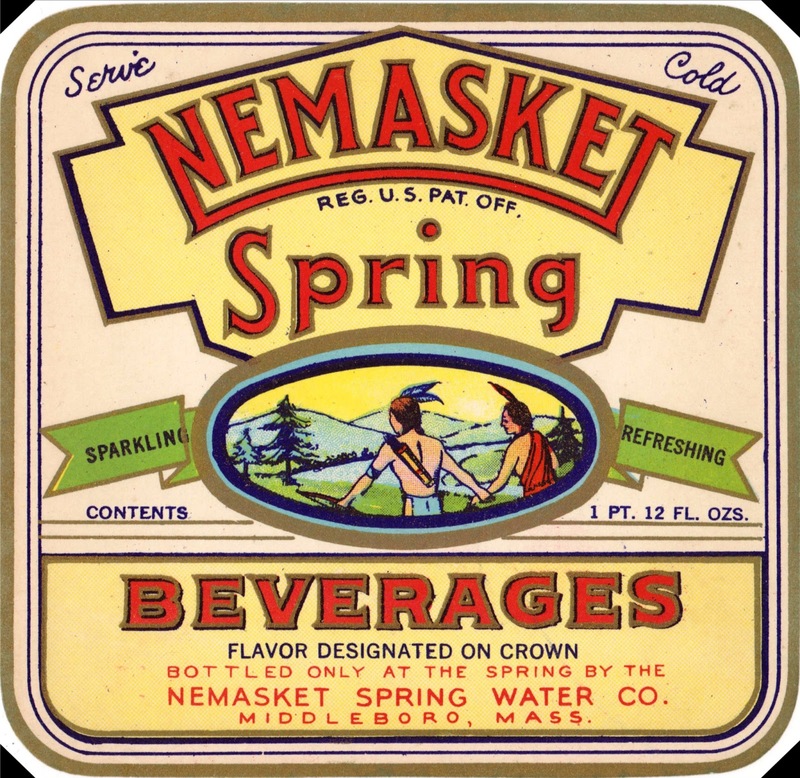 Despite the artistic license, the Native imagery helped distinguish Nemasket beverages in the market and were successful in establishing the Nemasket name as a brand. 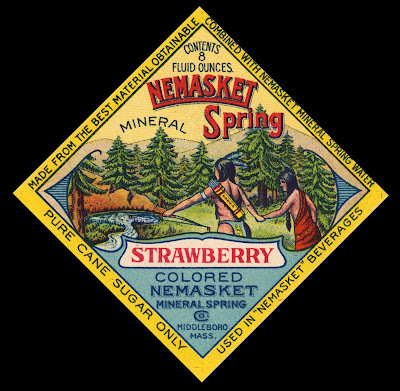 Nonetheless, Nemasket also manufactured under the Cape Cod brand as seen in the colorful matchbook cover from the 1930s. 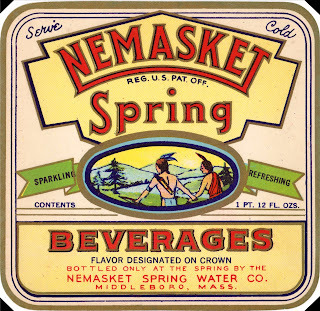 "Ask for Nemasket Spring Water beverages", the cover urged, "Made with America's purest spring water."